The EURÉGIO project deals with regions and regionalism in the European Union. It addresses regions as territorial units and socio-political entities situated at an intermediate scale, between the local and State (central, federal) levels. The objective is to appraise the knowledge, foster the debate and consider the evolutions of regions and regionalism in the context of the European construction. Indeed such thematic is a key issue of the territorial planning and organisation in various European States, be it the creation of regions, or the debates on the territorial organisation and on the relations between State and sub-State entities. In France, a regional reform has just been implemented with a new regional map and renewed competences to the regions. In these evolutions, the European Union appears to be an essential policy framework that can influence the development of regions and regionalism. These reflections will be developed and enriched all through the additional activities of the project and in the final Lille Jean Monnet Conference (CJML: Conférence Jean Monnet de Lille). The project is based on a network of academic, professional stakeholders and civil partners developed by University of Lille 1, one of the most internationalised universities in France. The objective of the project is to consolidate a European expertise network on regions and regionalism, which gather academics, professionals and practitioners from public authorities and civil society. The project is particularly linked to the master curriculum EUROStudies (European Studies for Territorial and Urban Development), within the master in Urbanism and Planning (Lille Institute of Planning and Urbanism, University of Lille 1). ► Lille Jean Monnet Workshops (2JML: Journées Jean Monnet de Lille) that deliver conferences and round-table. The three 2JML address the following key words: diversity, complementarity, cooperation. ► Lille Jean Monnet Students Workshops (AJML: Ateliers Jean Monnet de Lille) that respond to a planning policy question and deliver an analysis and recommendations in a professional perspective. The EURÉGIO events and activities are conducted in French and English. The workshops and conferences are bilingual French/English, and the lectures, courses and study trips are mainly in English. Several deliverables will impact on the different target groups of the project: scientific and academic publications, press promotion, outcomes of the student workshops, reports on the events and activities, and dissemination online of the different outputs of the project. 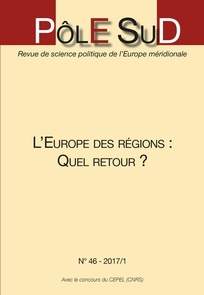 Special issue of the journal Pôle Sud " L’Europe des régions : quel retour ? " Gilles Pargneaux, sponsor of the EURÉGIO project. 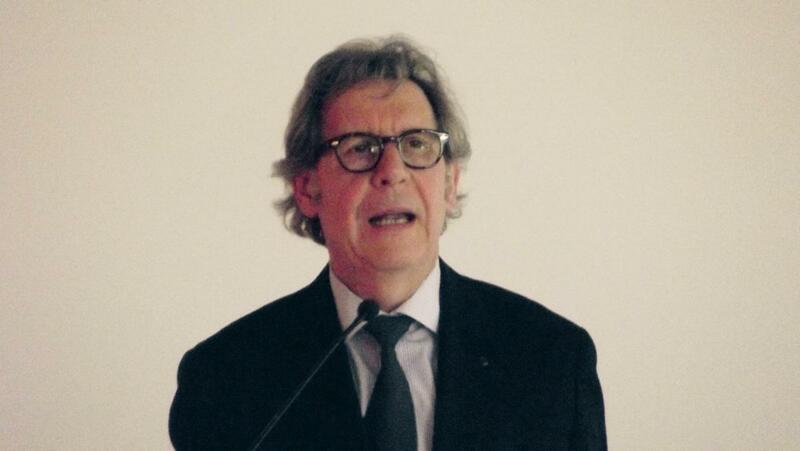 Gilles Pargneaux is the sponsor of the EURÉGIO project.